As Coca Cola is moving from creative excellence to content excellence, the company has started to increase their output of cultured content. The “Roll Out Happiness” project is just one more in an interesting series of of non conventional interventions in public space that is value driven and not product based. 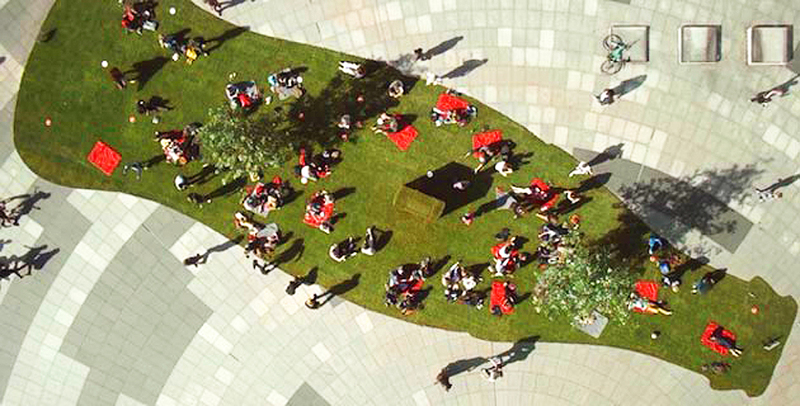 Aiming to create a surprise, offering a relaxed and inviting space in the public urban environment, the company developed a pop up park including grass, trees and huge pillows (in red of course) to entice passers by to take off their shoes and relax in an otherwise lifeless and nature deprived urban space. 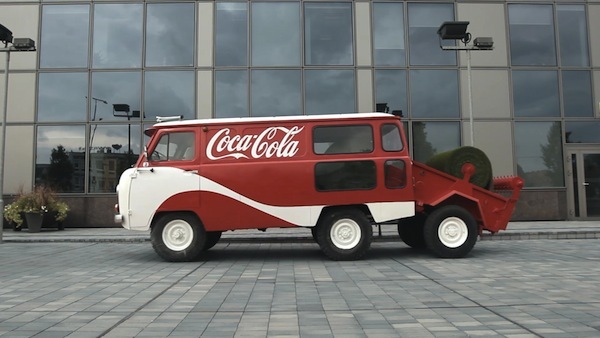 Though I’m personally not a big fan of Coke, this intervention is very powerful because it doesn’t just embody Coca Cola’s new position so very good (bringing happiness to people), it offers a social/communal experience that engages all 5 senses, bringing people together and creating an unexpected little moment of fun and happiness. The pop up character ensures an element of surprise and enables the brand to offer a polymorphic experience by moving the park and invading different spaces, creating new environments for different people – a good strategy to avoid that the experience becomes stale. The project could easily be extended, involving cultural and communal activities to make the place even more attractive, offering more reasons to come and hang out or even participate. 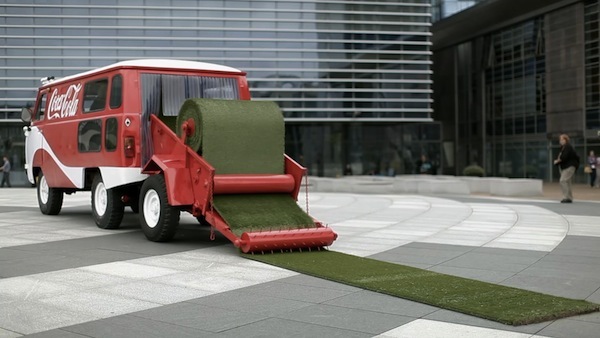 It could turn the pop-up park into a destination beyond the initial novelty factor. 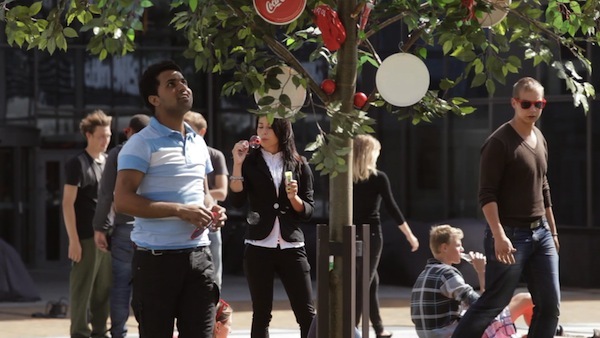 You are currently reading Coca Cola’s Urban Pop Up Park at Brand Experience Strategies & Cultured Projects.